Chelsea take on an in-form Galatasaray side this Wednesday, who boast a familiar face within their ranks – as the Champions League campaign continues. Chelsea will be the last of the British teams to play in this round of matches, and with Manchester City and Arsenal losing at home and Manchester United yet to play on Tuesday, the Blues’ seemingly carry the nations hopes for a European champion. The last 16 clash has certainly thrown up some interesting encounters. Chelsea boss Jose Mourinho will face the man he replaced at Inter Milan in 2008 before leading the Italian side to their first Champions League crown in over 40 years whilst Ashley Cole may return to face ex-Arsenal colleague Emanuel Eboue. But of course all the hype revels around the alluring and delightful Didier Drogba, whom after winning the Champions League in his final minutes in a Chelsea shirt. It’ll pitch the Ivorian against the man who paid 24 million pounds for his services in 2004 as well as the men he won each of his twelve honours alongside, John Terry, Frank Lampard and Petr Cech. Saturday afternoon’s win over Everton put Jose Mourinho’s men a point clear at the top of the Premier League, although Manchester City have a game in hand. John Terry’s late winner at Stamford Bridge may yet still go a monumental way in deciding where the League title will rest come May, but it is a secret to few that Jose Mourinho is a man obsessed with bringing European glory to Chelsea. 15 years ago the Turks were put to the sword as a Tore Andre Flo inspired Chelsea to a 5-0 victory at the old Ali Semi Yen stadium. Drogba himself has netted 8 times this campaign, with Wesley Sneijder and Burak Yilmaz also notable contributors. 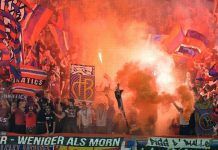 Roberto Mancini’s Galatasaray negotiated their way through a tough group consisting of Italian champions Juventus, Real Madrid and FC Copenhagen. The 19 times Super Lig champions beat title rivals Besiktas 1-0 at the weekend. 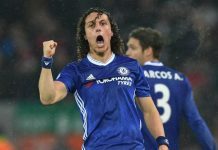 David Luiz, Oscar and John Obi Mikel have all travelled with the squad after concerns over each of their fitness coming into this midweek clash. January additions Nemanja Matic and Mohammed Salah are both cup tied after playing for Benfica and FC Basel in this seasons competition respectively. 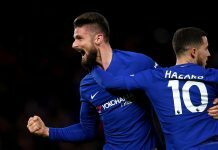 As is expected before any Chelsea game since Drogba’s departure, the question remains – who will lead the line for Chelsea? Samuel Eto’o appears the favourite with the Cameroonian appearing Mourinho’s first choice, as Fernando Torres and Demba Ba seem increasingly surplus to requirements. John Terry is certain to start in defence with Gary Cahill with Frank Lampard likely to return to the bench in favour of Ramires or John Obi Mikel. Galatasaray’s doors to ‘Hell’ shut three years ago, but with Didier Drogba lining up against Chelsea for the first time in his career, Wednesday’s game in Istanbul has more then enough potential to burn Chelsea.